Disruption — We’ve had a contractor working here all week. I dislike the intrusion and lack of privacy (and getting up really early) but this guy did everything he could not to be intrusive. He didn’t walk through the house, instead walking around outside in the frigid weather. He ate in his truck. He cleaned up before he left every night. You expect these things but they don’t always happen. It worked out great. A few more bits of work and our last summer project is done. One weird thing – He ate popcorn almost every day using our microwave. I don’t have a problem with that but the smell made us crave popcorn. The beloved husband went out and bought a box. Absolutely deprived – In the course of conversation the beloved husband said he never had a S’more. What’s worst is that he didn’t introduce his kids to them. I am sure they are in therapy after being denied such a simple rite of childhood! So what the hay is a S’more? – If you’ve lived under a rock, it’s a fun thing to do camping or around a grill. The bottom is a graham cracker, topped by half of a chocolate bar, with a toasted marshmallow and graham cracker on top. The hot marshmallow melts the chocolate. Yum! I will have to make some for him. This entry was posted in Humor, Life at Home, Random Five and tagged buying stuff you don't need, chocolate, contractors, food cravings, house projects, popcorn, S'mores, sales, work habits by Kate Crimmins. Bookmark the permalink. We bought an instant pot a few months ago because there was a great deal. We’ve yet to use it but I’m thinking it’s more of a winter thing than summer. For me crock pots are mostly a winter thing although there are a few things I will do for the summer. Maybe you’ll pull it out and give it a try soon. It is winter. I’m guessing after the holidays. Curious to see how well it works. You will have to post about it! We’ve had popcorn three days in a row now! I’m close to done! We are working on the S’mores! Maybe a big vanilla cookie? Graham crackers aren’t my fav either but I can tolerate in a S’more. I prefer other crusts on my pies though. Haha, that is weird about the popcorn! We once had a contractor that drank out soda from the fridge every day without asking. I never said anything, but I thought it was weird. Now that is weird! This guy brought his own food. At another house I had contractors who used the ice dispenser on my fridge without asking. Unfortunately the construction required us to move the fridge so the water line wasn’t hooked up anymore. Once the reservoir of ice was gone, there was no ice. I wasn’t going to make cubes in trays for them! It is versatile and if my crock pot goes, I would consider that as a replacement. I live under rocks when it comes to technology! He’s a tile guy and he is considered a good contractor. Keeps everything clean. I am going to try to be like you when our master bath redo begins but I’m telling you I am going to go bonkers. It has taken forever to get it scheduled and we think they will start the second week of January. To be fair we held them up a month or more because of visitors in October and possible visitors this month and March. CH loves popcorn and nibbles on it pretty much every day… when he pops it instead of buying at The Publix he pops it in bacon grease with a little salt and pepper. I am going to have to give s’mores another chance! Bacon grease? Yum! Hope your bath renovation goes smoothly. Somehow they usually don’t! I put a stripe of glass tiles in. I was diligent about the color but now that it’s up, it looks dark. Oh well. I tried something new and it didn’t work in my application. S’mores are so yummy! Now you have me craving them. Oh well, I was wanting some marshmallows for my hot chocolate anyway so this gives me another use for them! I know what you mean by all the temptations out there $$. So hard to resist!! I’m still wavering. There is a sweatshirt on sale too. Hot pink! I don’t need another sweatshirt but I know I’ll wear it because it’s hot pink! You haven’t lived until you’ve eaten S’mores!!! We have had popcorn here two days in a row so far. Thinking about those S’mores. That happens to me often. I had a hot drink a few weeks ago that didn’t measure up to my memory. So is it better to keep the memory or try to relive it with another try at the drink? I think it’s the taste buds. I don’t like sweet stuff as much as I did and find a lot of things I used to enjoy too sweet. S’mores may be a major factor why outdoor fire pits are popular – people don’t get out and camp with real campfires, but want to have the memories or let the kids sample a bit of what used to be childhood – without the mess and bugs…hmmm. 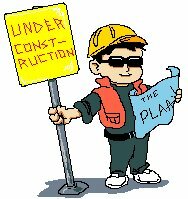 Sounds like you have a good contractor – pretty rare! Popcorn is like Cinnabun at the mall. Once you smell it, you have to follow it and buy some! So glad the contractor was considerate! I feel the same way about new kitchen gadgets. I love them, but am at the point in my life where I have to be a little realistic. People just love their Instant Pots, but… Not just now. Oh my gosh! I hope you immediately fixed him up with a s’more! Not yet. Not exactly sure how I want to toast those marshmallows without causing a fire inside. My bread maker was my last super crazy purchase. I do have a sous vide gizmo which I love. I use it for specific dishes but it’s small to store. Right now air fryers are the hot tickets. They are big suckers that take a lot of counter space. Ah, then nope – not an option for me! I buy popcorn and pop it in a popcorn popper with oil ~ it’s delish with coconut oil. He bought the bags you stick in the microwave. 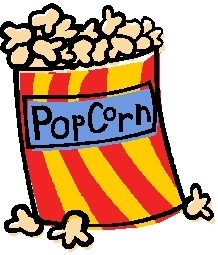 I LOVE popcorn – especially movie popcorn! We rarely go to the real movies these days but whenever we buy a large bucket, it goes fast. Do I need to write a blog post about slow cooker versus instant pot? I have both. I love my slow cooker (it’s a large oval one so it fits everything). The instant pot is the devil. Seriously, the. DEVIL. Those things are dangerous, and especially around cats, I might add. OK, end of rant. Happy week ahead! That is very helpful. Now why is it the devil? I have 3 slow cookers — small, medium and large and love them all. The 2 bigger ones are oval. Fits roasts better. Never had a problem with them either. You have to do things just so with the instant pot or it will blow you up. I like to relax more with cooking. I’m not good with directions! You said the magic words. “Blow up” I had a pressure cooker decades ago when they were touchy. It took a long time to get the pressure up so you really didn’t save a lot of time. Chicken was wonderful though. Very tender. Eventually I just got tired of the whole thing. And the food gets mushy easily, too, which I object to. My slow cooker is my love. Along with my panini grill ;). Love my slow cooker too. I have a panini grill but I rarely get it out unless I’m making more than 1 grilled sandwich. Love it though. Sometimes I even make eggs in the panini grill ;). Never been a fan of smores. I like the parts separately but not together for some reason. Glad that your construction worked out. We had a bathroom remodel a few years ago and I know it can be very invasive if not done well. Kitchen gadgets don’t call to me. New crafting tools, that’s another story! It has been decades since I did anything craft related. I did decorative painting, candle making and few others back in the day. Now I’d rather read a book or do something physical. Okay, I’m a weirdo…I’ve never eaten a s’more and I was a Girl Scout. Not a good week for me, Kate. Last night, Windows did a forced update and EVERYTHING on my C drive is gone. Uncool! Oh no! I wouldn’t even know how to go about attempting to fix that. I had an update too but didn’t lose anything (at least that I missed). Hugs. That is just WRONG!!! Hope you didn’t lose any WIPs! I hate Windows! Forced updates are bad! Thankfully, I had my WIPs on a thumb drive and I had submitted my current book last week. Sadly a lot of my hummingbird photos were lost.😂 Thanks, Nancy. Oh Kate, I’ve never had this delightful confection! Marshmallows are now on my shopping list, those big ones, as is a bar or 6 of chocolate. I’ll use digestive biscuits, but the problem is going to be how to melt the mallow. I used to make what is now recognised as Rocky Road with marshmallows, dried fruit, digestives/gingernut biscuits or a mixture of the two, butter and melted chocolate. It was meant to last a few days, but never saw the second. You could do it somehow with your cooker. Still trying to figure out myself how I’ll do it. It’s best when the marshmallows are browned but I was thinking to just melt it along with the chocolate and cracker under a broiler. Good luck to you. Anything that’s good never sees a second day! A ha! Inspiration…………. Hubby has a blow torch using a disposable lighter that might do the trick! You can cook the marshmallows over a candle flame . . . a candle with multiple flames works even better! Hmmm….most of my candles are scented but I’ll look. I was thinking of broiling the marshmallow on foil or on top of the cracker-chocolate (on foil). I think I’ve used unscented candles . . . maybe vanilla would work. Too bad I don’t have one of those scorch things for creme brulee. That would work. We have had summers like that. Two years ago nothing got done. No ambition. No desire. Not enough something. I love popcorn, and have decided to not give it up but to make it with olive oil. It’s not the same as smothering it with butter, but my palette will cooperate I’m pretty sure since it means keeping it in the family. I’ve bought nothing lately, though sales abound, but did splurge on socks at J. Crew who had a 30% off sale. Nothing like new argyles to pick up a girl’s spirits. The popcorn had salt on it and this morning I woke up just a little bloated. I’m staying strong…sort of….maybe. Can you have it, unsalted? I guess you can buy unsalted but salted is better. I have eat less, that’s all! Life’s short by the way. Keep telling myself that as I pop another Stella D’Oro. I haven’t had a Stella D’Oro in ages! She’s still a show stopper. It’s the only way to eat marshmallows. And the only way to cook a marshmallow properly is to flambe it! That is true. I don’t really like marshmallows (or any candy with it in) any other way. Keep standing strong! Sales can be hard to resist. You think oh that is so cheap surely I shouldn’t pass it up! I had breakfast with some friends and one of them is tempted by the sale on air fryers. Maybe she will get one and give me an honest review! By that time the sale will be over. 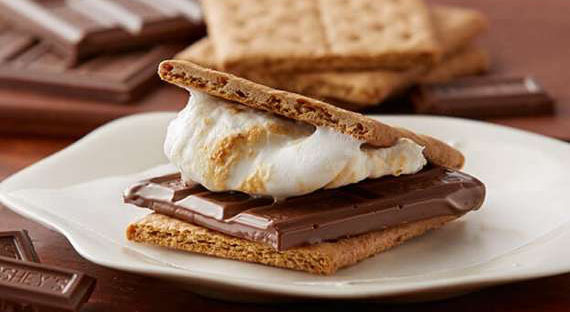 I’ve never had a s’mores either … and I don’t feel deprived. Maybe it’s because I don’t like marshmallow. I don’t like marshmallow either. S’mores is the only way I’ll eat it. Yes, lots of chocolate! You know I have a friend who when we were around 40 y.o. admitted to me that she’d never had a s’more. I was flabbergasted. She grew up in a small town like I did. She was in scouts like I was. But somehow she’d missed out on them. The next time she and her husband were over for dinner, I introduced her to s’mores. We’ve remained good friends to this day! You are a very good friend. I don’t think anyone I know has served them other than at a picnic with a campfire. Oh I got out a little Weber grill that we had, put it on the patio– and got the charcoal hot. Then we sat outside in our coats and hats roasting marshmallows on a cold fall evening. It was fun. She wasn’t all that impressed with s’mores, but I think she appreciated the effort. I like them but I can only eat one. That’s enough for me. Be sure to make the s’mores right so your hubby can get the full experience, over a camp fire with marshmallows on a twig. And be sure to catch one or two marshmallows on fire. You have to burn the marshmallows! That’s part of the experience. With our weather right now, it’s unlikely to happen outside! I know exactly what you mean about temptations! Usually I fly below the radar of advertising, but this time of year it’s everywhere! Technically it’s a great time to buy things you really need and I do that. It those tempting things that I wonder if I’d like them.